Half our land is valley land and half our land is hillside land. When we bought the land from Autumn’s family, and thought about planting orchards, we knew that the hillside orientation was right (east facing) and that there was good elevation above the valley for air drainage. The practical question was, where can we traverse the slope with a tractor without tipping over? Our North Orchard, adjacent to Albee Hill Road (a seasonal use dirt road) was the first site we cleared and planted, fenced and trellised. It is a dramatic location that tested the stability of a tractor with a half-ton post pounder on the back, and tested our fortitude to weather tree mortality from ignorance, drought, deer, rodents and forest tent caterpillars. The landmarks – roads and creeks – take their names from families long gone. Most everything about the Albee Hill site has been hard for us and so it was for the dirt farmers such as Albee who are gone with very little trace. 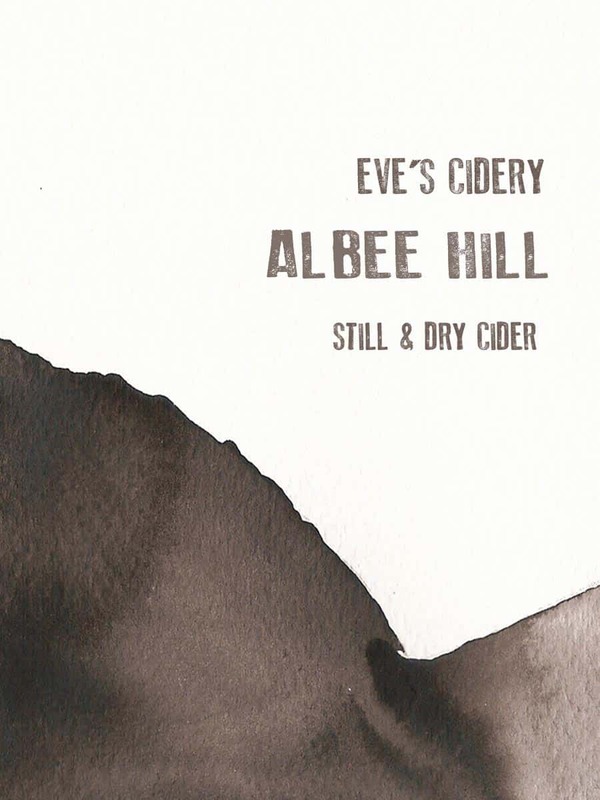 It also grows great fruit and functions to showcase the best of what we have available, in the Albee Hill Cider, without the distraction of bubbles or sweetness. Golden Russet trees make up the largest part of the site and forms the base of this cider. We have come to understand that Golden Russets are a remarkable cider apple. The variety was discovered as a seedling around 1845 in New York State and should put New York on the world cider map along with Somerset and Normandy.